Today’s hall-of-fame post is about a very happy customer of ours. 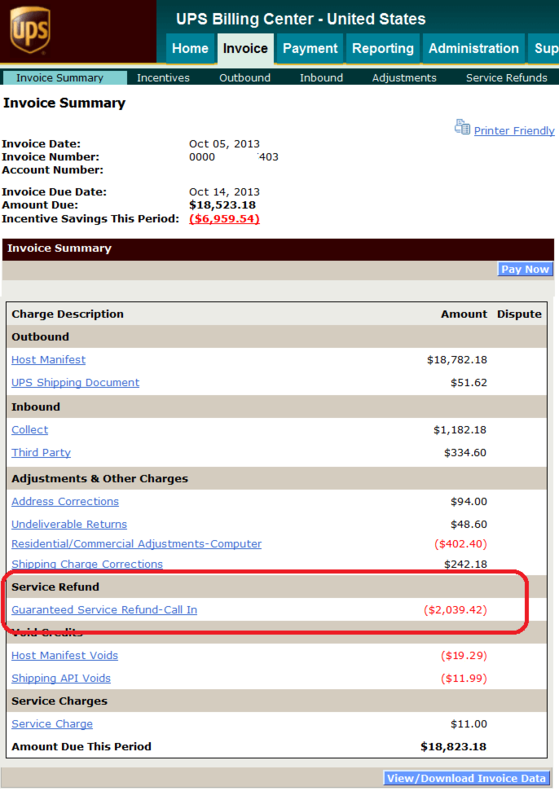 Recently, their UPS invoice for the week was over $20,000, but we managed to drop that amount by over $2000 in refunds. That’s a 10% drop in shipping costs for the week, thanks to our efforts! Our customer received refunds for previous late packages, duplicate charges, and non-shipped items, using our UPS auditing service watching for these issues and more. These issues can happen every day, but for the average shipper it’s difficult to catch. That’s where we come in.